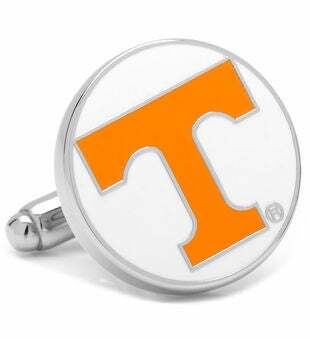 Tennessee Volunteers team logo cufflinks. Classic helmet logo on a white background on a nickel plated silver setting. Officially Licensed NCAA Cufflinks.